Upstate Clutter Coach LLC is your licensed and insured professional decluttering and organizing service based in Greenville, SC. Clutter happens. Life gets moving faster than you can keep up with and the piles begin. Sometimes those piles become mountains that prevent you from living the life you want to live. That's where we come in. No matter the circumstance, we will help you break free from the stuff that has been holding you back and launch you into a lifestyle of peace and joy all with a 100% No Judgment Guarantee. Once your space is in order, we will create a schedule for maintenance (if needed). Our goal is to partner with you so that your space will stay organized and your systems run smoothly even after we're gone. For those of you looking to declutter in order to sell your home, you've come to the perfect place! We can streamline your process, get you connected with great contractors, and help you sell your home in Greenville, SC. I am a professional home organizer, helping people claim back space and time! We help Greenville homeowners transform everyday frustration into joy. Our custom pull‐out shelves bring you more space and access—making your life organized. ShelfGenie is a national franchise that provides homeowners with organizational Solutions, like Glide-Out™ shelves. Our Solutions bring more space, access, and organization to clients’ homes across the U.S. and Canada. 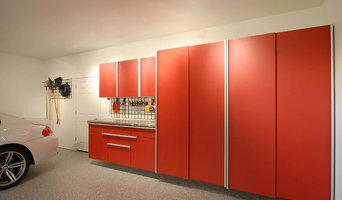 Each of our Solutions are custom made and handcrafted to find our clients’ existing cabinets. This allows our clients to transform their space without having to get a renovation. Our Solutions make each of our clients’ lives easier, and help them to truly love their space. Before hiring a professional organizer, consider exactly what you need. 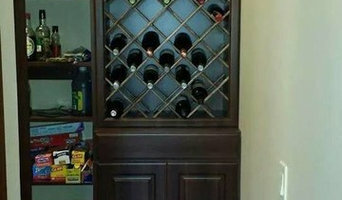 Have you just moved into a Hoopers Creek, NC home and have no idea where to put everything? You may want to consider an organizer who specializes in room-by-room space planning or estate organization. Perhaps you’re faced with a tiny closet and an overflowing wardrobe. In that case find a professional who focuses on closets to help you get back on track. Also consider the types of objects that need organization. Are they items like books, family photos, files or collections? You’ll want a professional organizer who has experience designing custom systems with Hoopers Creek, NC companies that will best fit your needs. Find a professional closet and home organizer on Houzz. 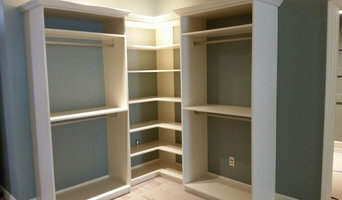 Narrow your search in the Professionals section on Houzz to Hoopers Creek, NC closets and home organization.